Fast, reliable, robust desktop scanner for busy workgroups. 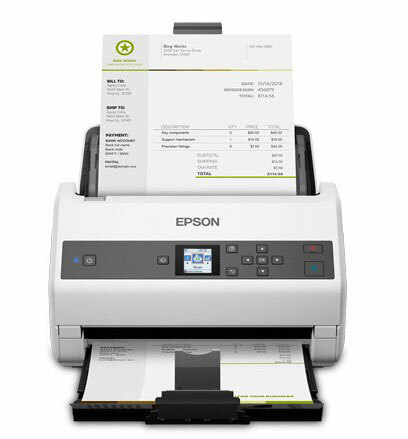 The Epson DS-870 color document scanner is right for your busy workgroup with fast and reliable and robust scanning. Designed for the busy workplace, you can scan at a high volume pace of 100 pages ADF.